He graduated in 2014. He's been in the league for 2 years. He redshirted here. It adds up. He makes the Dolphins roster! He has 7 tackles through 4 games, but has seen a lot of playing time on the DL. He has the same number of tackles as Mario Williams. More tackles than starting DT Jordan Phillips, 5 more tackles than Cameron Wake (don't get me started on how the Dolphins are "using" Wake). About the only one on the DL who is more productive is Suh who is on pace for 108 tackles (I'm serious) and 10 sacks. Little update. The Dolphins released him in late Oct. and signed him back to the practice squad 5 days later where is now. • Defensive end (3 for 1 spot). Praise Martin-Oguike or Terrence Fede or Julius Warmsley. The undrafted rookie Martin-Oguike has had some really good moments. Fede is likely the favorite here as has been a regular on multiple special teams, which is always going to be a critical factor as the final few cuts are made. Warmsley has not stood out as often as he did in the preseason last year, when he made the initial roster. He's on the Memphis roster of the new AAF. Surprised he's the only one! You mind sharing who they are? I think Monroe and Rush signed initial contracts but they aren't on the roster for Memphis currently. 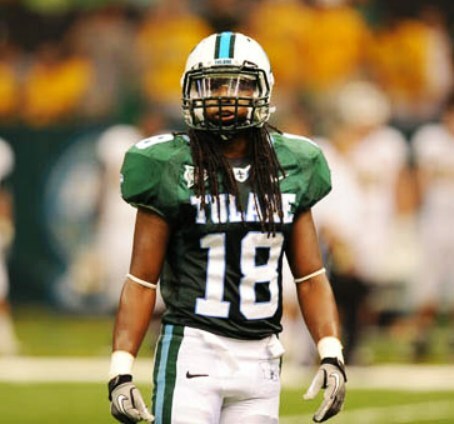 Warmsley is the only Tulane player listed on the Memphis Express website.